Here are more fantastic reasons to use Amazon Prime. although I'm not watching football for personal reasons this year. Many of you are. some of neighbors and friends live in other countries and wonder how can I use my Prime benefits while abroad. 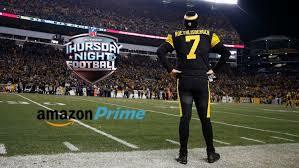 Try a free trial of Prime and get Thursday night Football. Recently showed my Wife how to use the IOS Kindle app to read books and magazines free with her Prime account and I listen to lots of offline music via Amazon music prime. the video content is also priceless but not useable in Mexico or abroad without this DNS service. it comes with a free 7 day no credit card trial. This allows me access to all the Prime video I can handle. I can put it on my router or individual devices. So enjoy the game tonight or a good book at home or while sitting on the beach.